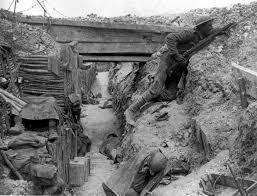 I’m sitting in this trench; my feet are slowly sinking into the mud and blood puddles. The rain is coming in from the west of the alien country shown in the opposed soldier’s eyes and uniforms, Germany. I press my rifle barrel against my forehead, just last week ago Scotch took the barrel to his mouth; I squeeze my eyes closed because I was the one that found him. I can hear the bullet shivering in the gun, either it’s the bullet trembling or it is me, either way I will not condemn this bullet if it was too scared to exit its purpose hole as I would not like to be condemned if I never wanted to jump over Ends Edge into Deaths Playground. I throw my half smoked cigarette against the mud wall opposite me. Recount my pointed off chasing killers, grenades and breathe. I can’t be afraid no more; this is what I was trained for. I look at the sky passed the black smoke and dark passing clouds, it is still so beautiful in its endlessness blue, I touch the ground, shaping my initials in the mud so people knew I was sitting here, I don’t want anyone to steal my seat. I smell the gun smoked air, it maybe not be my mother’s cooked dinners but it will have to do. Men down the trench are getting into position, kneeling under Ends Edge, making their peace with God or saying prayers to their hidden necklaces or staring at the sky of black smoke silently or to family photographs and memory but I know now I am not alone, that is the thing that gives me hope. A nod of “I will look out for you, out there” ripples through the men. My eyelids unlatch; trying to fight the openness my brain has catapulting towards them. 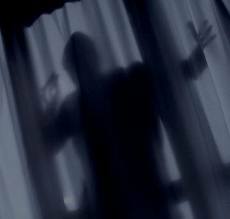 I use a squinted quick glance around the eerie perspective of a dark early morning and the closed curtained bedroom, which I haven’t seen in years, slapping together the lips of my cotton-mouth. Let me get back to my snore in peace, rolling over and nestling my head further in to my pillow with a yawn. Just pretend you never had awakened, now where was I…? …What was that?! Another noise… A clang of something moving that shouldn’t be down there, it was too real to be from the warmth of my dream; I was almost asleep now my brain has its wish and has me fully awake. Is someone downstairs? No, could not be, not in my house, that doesn’t happen to people like me. So I sit up in my bed and get ready to lay my paranoid mind to rest, then I shall do the same. I scan my room and outline the dark objects of the nothing I can see. I concentrate on a corner of my room, putting all of the focus into my hearing. Another knock! …I fold the sheets over on themselves, I need to investigate. Damn, my phone is downstairs in his paddock. Luckily my girlfriend is out-of-town for work. If I thought my neighbours could hear my voice I could use the window, I wouldn’t even trust the way down, broken ankles are not my forte. Wait, why should I be driven from my home? I live here, I bought all the things he wants, you can’t help yourself to other people’s possessions because you don’t have… that pisses me off. There is no noise. I have never felt as alone in my solitude as my home is being overrun by a trespassers disregard to people’s belongings. I press the on button to my lamp to reveal my room in light. I scan the room looking for a suitable weapon to protect myself with; he will get the shock of his life if his steps lead him upstairs. 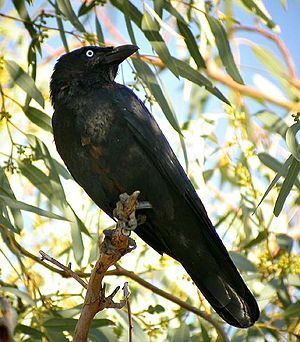 I remember I put a crowbar at the back of my wardrobe for such an intruder, if that is what the tool is for than I may as well give it its traits back. I step from my bed to the polished floorboards with tiptoes, I will protect what is mine and my new house guest raiding through my artefacts knows my face before he leaves and with my fearless attitude towards him I will become his fear. I step further using my head as I walk to that wardrobe, dodging the squeaky floor boards. I open the doors to the wardrobe and retrieve my weapon of choice in this matter. Two more steps and I am at my door, I place my ear to the door, Pocahontas can hear no stampede from my backdoor, there is still time to catch him in the act. I pull down on the metal handle of my bedroom door, I open it a smidgen. Now who is the undetected, I do a better job than he is doing. I slink from my door frame, thinking about the man who could possibly kill me, would he have a knife, gun or his mitts? The toughest part of the mission to save my home is the stairs, I have reached the top, fifteen more to go and most of them creak. I put my back to the wall and place carefully at the edge of every step my footing, holding on to my weapon with my life. My thoughts are racing, should I have let him taken what he wanted? And I stay in my room? I am here now, can’t back down, I could retreat and he could see me and all this effort could be for nothing. I have reached the bottom step; he is in the room opposite to the stair, I can hear rustling, what is he doing? The door is ajar a little, I have him trapped. The front door has been closed, what kind of criminal closes his quick exit? I look through the small crack where the hinges of the door are located; all I can see is the dark silhouette of a figure. It is now or never. Nobody is coming to help, take back your home, now! I burst in front the door, the figure spins around in the dark, I swing that bar to their direction, a clean connection with their face. The figure falls with a thud, he isn’t moving. I back up a little and flick the switch to the lights on the wall. I drop the crowbar then drop to my knees….. She said she was out-of-town. I am walking in the moonlight, same moon and the same thirst. There was once a time when people never came out of their homes at night, too afraid of what my kind may do to them. I am not going to say I am the last of my people, I am not, that would be cliché and am not in the mood for a Hollywood ending on this night of nights. These humans are deserving to be our food, especially when they leave themselves open for attack when they attend public houses. So much booze entails so much vulnerability. My overcoat snaps behind me as the wind passes by with whispers of …“Run”… travelling on it, a warning the food cannot hear. I will not kill in public as the sight of it will invoke screams, so I must stay in the boundaries of the back alleys waiting for stragglers with stumbles in their steps. A female voice reaches my ears, I crouch myself in a dark corner, camouflaged. She steps in her heels within a tic-toc pace. She shows herself, her skin is pale but has had a brush with make-up it settles perfectly on her, her black hair whips in the wind like my coats trail. She is a petite young woman but her eyes have been informed of fear and warnings. She has a phone to her ear, I don’t see her talking and I hear no voice within the phone… It’s a ploy, only giving the illusion towards her loneliness. I take in a breath full of her, her perfume blurs my vision. Is this want for her blood of love for her heart? The question prolongs my actions and feed. I have never look upon a beauty like this, I lie, once I did, before the thirst found my lips I had love in my heart, plague blackened hers, I trailed through sunsets looking for retreats from death and unholy medicines but nothing was found, only a curse for blood. A new question arises its eerie face. Do I do what I remember or what is in my nature? Love for blood. She begins to walk from my view; I place both my hands on the wall and take myself from the locks of gravity. I crawl vertically across the wall just for her to rest in my eye once more. She halts her clock walking and lowers the phone that is attached to her to her side. She turns her head slightly to the side and peers out the corner of her eye, the unwant for a shadow behind her emulates from her stilled stance. Perhaps it is the chilling kill in the air but she looks as though she is shivering. The pestilent wind carries a loose newspaper’s page and drifts it over her head, sending her into a fear driven chain reaction, she quickly pulls from her feet the heels that would surely be a recipe for capture by whomever is lurking in the darkness. She throws her shoes to the gutter and takes off running, making a break for freedom she has never felt before, towards those lights of the streets safety but she a trek to travel before she leaves my kingdom. If I lose her now I lose my love forever to the fear of walking at night by herself… and that I cannot have. I leap from the walls shadow and travel silently towards my love, over the winds surface. I slam down in front of her and shoot her a look of the animal within me. Her eyes try frantically to see a gentleman or kinsman to assist her with a rescue. Not in this day and age, my love. I stand to her; she fills her lungs with a scream that could be heard by others. I stare into her brown eyes, bringing her into me. She fills up my eyes as I do her mind and soul, I am her everything. She releases the air within her next breath. I caress her face with my cold clammy fingers until I move them discreetly to the back of her head; I brush her long strands of night to the left and tilt her head in the same direction. I take one last breath of her as a remembrance of who she is. I kiss her on her cheek then jaw line and move to her neck. I open my mouth and plunge my teeth into my loves skin and begin to feed. In all honestly I cannot love, I have no soul to share. In medical terms a Kiss Of Life is breath, which I have not. Love is a chemical anomaly of the human brain. My true love, the love I will die for one day is their blood. A love for blood is my curse and for that to be bestowed upon me I shall forever be alone, as this victim was. I came here to find a monster and I have. I take my shooter from its holster. My bottom jaw mimics the choked gun, rattling and dangling by my side. The beast is on the hunt and we have caught each other’s scent. I step further in to the deserted darkened woodland, breaking twigs as I prowl, revealing my position. I am ready to plunge my silver life chasers within the clip into the animal’s heart. The full moon is my torch but overgrown trees and clouds are my blindness here, interjecting its beam now and again and showing claw like shadows upon the ground. The raindrops run down my face, slowing my adrenaline and temperature getting any higher. I know he is around, I can feel him, every movement he makes, every time he takes a mouthful or charges for his prey, I know. He not only touched my soul with his presence, he also tore the fear from my flesh a month prior in Central Park, I thought I killed him then but every cop gets it wrong in thirty-five years of work. As soon as I heard more bodies had been found, I followed the trail to this place, a new hunting ground and soon to be a new graveyard. That is why I am here, sleepless nights and countless nightmares, pills and whiskey shots, a wife that walked out on me with the kids, she said she couldn’t cope and now finally a dedicated job that no longer wants to know, so nothing less to lose. I raise that barrel to the sky, and fire three times towards the moon, I had no bell to call him for dinner. A huge branch takes out half the tree below, landing beside me, disturbing the leaves that were once part of it. I take my eyes skywards, following the trees body. The moonlight shines on top of me, like a spotlight, showing me to my bloodthirsty audience, ready to tear my act to parts. Why am I here? Just looking at this bright rock in the sky makes me think deep about it… I know why, I am rock-bottom. Am I here to kill the big bad wolf? Or am I here to let the beast finish me off? As my obsession over him has separated everything from me, so why not let him separate my limbs while I am here. I drop my way out along with a tear, my gun was too heavy and my eyes have finally seen enough. Bring forth my fate and let it sink its teeth deep. 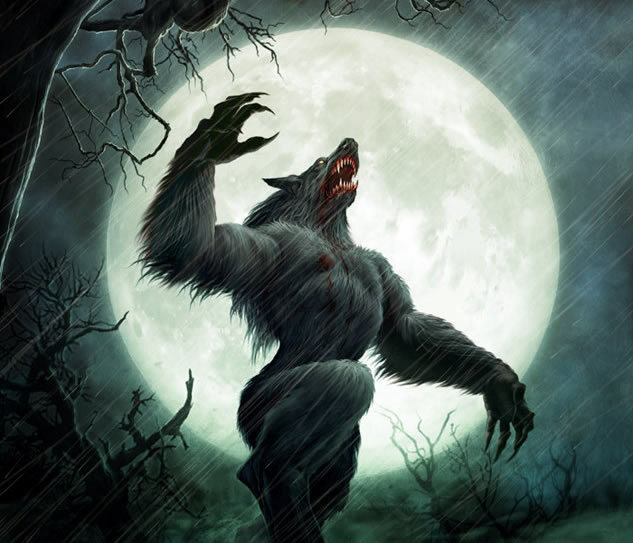 A howl travels on the wind that passes through the forest floor, the leaves travel on it, scared, escaping the bloody scene this night will end in. I turn slowly to where the howl originated, all I can see is darkness and endless trees, broken twigs snap around me, at the side of me then behind, he is circling me. Still in the light I fall to my knees, I am not going to fight this, just let it be over for me. I pull my wallet out and open it up, I brush my kid’s pictures with my finger, this will be the last I see of them as their father. That was a great day when this photograph was taken; Glenn threw up all over Molly at the beach. A grunt erupts in front of me; I lift my head to my destiny. The moon lights up the forest floor. Dropping my picture, I see the beast. It is the size of a bear on its hind legs; the coat on it is thick and its tail whips the air, he has me in his sights, about time. I know it is him, even though he is about one hundred yards in front of me, bobbing his head from behind a tree. Show no fear; I can’t, not in front of my children. I laugh, louder and louder, so his attention isn’t broken by a squirrel or rabbit, I am no longer running but if he thinks I am going down without a fight, he has his meat slab mistaken. If he bites, I bite, when he slashes, I’ll throw a punch, so he will have to work before he gets fed. He puts his front paws to the floor and bows, lining up his back-end like a lion ready to attack. I paste my face with a smile of callous towards his intimidation. He lets out a roar that vibrates the strings on my heart, breath-taking me. He bounds from his creeping position with full force behind his legs, charging against the wind, out matching the sound of it with his roar for food. He tears through bushes at a speed that cannot be matched, blurring by the trees. He starts to slow up rapidly, until his is walking, tilting his head from side to side, he is at arm’s length from me. I do not take my eyes from him; he stops, staring at me with his nothingness eyes. My heart wants to break free and present itself from my chest until it is at his feet. He comes in closer until we are nose to nose, his breath smells like death, my throat blocks up with sick but I manage to keep it down. His teeth are the size of assault rifle bullets and his snout is covered in someone’s blood. He must be at least eight feet tall. He sniffs my face, I make no movement. This must be it, here comes the kill, I close my eyes. A HOWL!!! I throw my hands over my ears, trying to block out the noise. It stops so suddenly, should I open my eyes? Nothing is happening… I open them slightly; his feet are gone from before me. I look up, the wolf is nowhere in sight. I stand to my feet and use the back of my hand to wipe the sweat from my brow. I stare at the back of my hands, they are covered in hair, I pull on a clump then it begins… a pain like no other. I fall to the floor in agony holding my head. My bones are tearing me inside out. I begin to crawl on my stomach to my car beyond the forest, still on the road, what is happening. 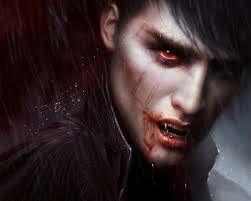 With ever breath I take, blood drips from my mouth, washing away my teeth and replacing them with blades. I look up to the moon and know why I was here truly. I can’t move anymore. I let out a scream which turns into a roar. I came here to find a monster and I have. Please rate with the stars at below the title and leave a comment.